(photo courtesy PBS) The characters from the PBS children's show "Daniel Tiger's Neighborhood," based on the puppet character created by Fred Rogers. The show is the highest-rated program on KBYU Eleven, which is changing format Monday to carry BYUtv. Diena Simmons can’t remember when Provo’s KBYU, Ch. 11, hasn’t been a part of her life. As a student at Brigham Young University, she worked on the student news program the station broadcast. Later, “as a young mother, we watched KBYU because of the kids’ shows,” she said. And as an employee at KBYU Eleven for 30 years, the past decade or so as station manager, she’s seen the station evolve as a haven for children’s shows and classic programming for older viewers. All that changes first thing Monday morning, when the public TV station that started in 1965 switches over to become a broadcast conduit for BYUtv, the cable- and satellite-TV channel owned by The Church of Jesus Christ of Latter-day Saints. KBYU Eleven is going out with a weekend of celebrations. On Saturday, from 10 a.m. to 2 p.m., the station is playing host to a Be My Neighbor Day, a family event inspired by Fred Rogers, whose “Mister Rogers’ Neighborhood” marks its 50th anniversary this year. The event — at the BYU Broadcasting Building, 610 E. University Parkway, Provo — will feature activities for kids, including a chance to get close to fire engines, police cars and other working vehicles. Characters from “Daniel Tiger’s Neighborhood,” an animated show based on Rogers’ beloved puppet character, will be on hand for photo ops. The event is free, though the station asks people to register at kbyutv.org/community/bemyneighbor so they can plan ahead. 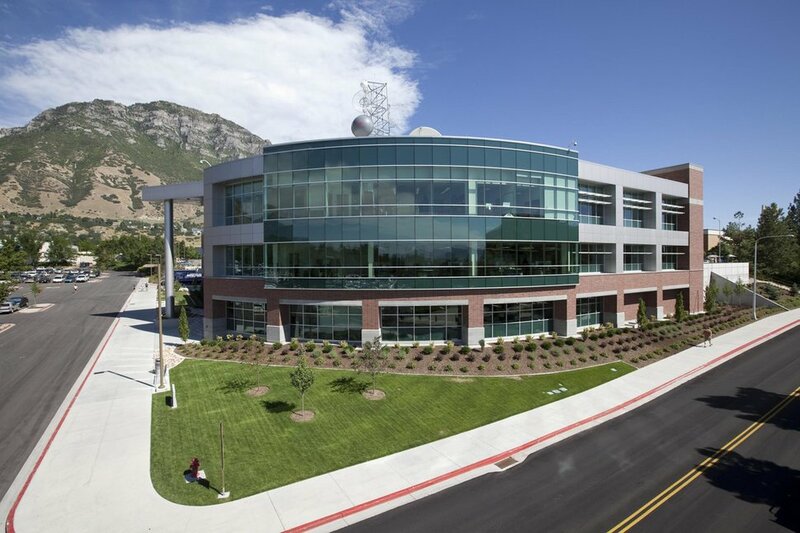 (photo courtesy KBYU) The BYU Broadcasting Building, on the Brigham Young University campus. KBYU Eleven will have a community event for kids and families on Saturday, June 30, to mark the station's switch to BYUtv on Monday, July 2. On Sunday, the station will air a 13-hour marathon, starting at noon, of documentaries about Utah history the station has produced. Over the years, Simmons said, KBYU Eleven has focused strongly on a daytime lineup geared toward young children. That started with such public TV gems as “Sesame Street” and “Mister Rogers’ Neighborhood,” moving into such shows as “Barney” and “Lamb Chop’s Play-Along” in the ’80s and ’90s, up to “Daniel Tiger’s Neighborhood,” which Simmons said is the station’s highest-rated show. When KBYU renewed the deal for “Little House on the Prairie,” the syndicator threw in “Perry Mason” as a bonus, Simmons said. The courtroom drama was a nighttime staple until less than a year ago. Simmons said the two stations at the University of Utah, public station KUED and educational station KUEN, will air many of the children’s and instructional shows KBYU Eleven did. And national digital channels, such as MeTV, show “Perry Mason” and other classic shows regularly. Still, for Simmons — who remembers when the station still had typewriters, and “getting a computer was a big deal” — seeing the old KBYU Eleven go is bittersweet. “It’s been a privilege to see the impact these shows have had, especially on kids,” she said.